After 33 years working for the Diplomatic Service, I was appointed Permanent Under-Secretary last September. Twice before, I worked close to the heart of the FCO: as Private Secretary to two PUSs – David Gillmore and John Coles – in the 1990s; and as Principal Private Secretary for one Foreign Secretary – Jack Straw – in the early 2000s. Drawing on what I considered a wealth of experience, I set out my ideas for running the FCO to the interview panel choosing the PUS. It took me about two weeks to work out that running the FCO is different from thinking about it. My first appearance before the Foreign Affairs Committee at the House of Commons was the key rite of passage. Contemplating a 25% cut in the Spending Review was a second epiphany. In the end, the FCO budget was protected like DFID’s and MOD’s. But it was clear to the Foreign Secretary and me that we could achieve greater efficiencies. So, I asked Tom Fletcher, previously our man in Beirut, and an in-house team to look at who we are and how we work. And we asked them to answer the question: In the internet age, how can the FCO/Diplomatic Service best do the job our government and fellow Brits want, understanding, influencing and representing the UK overseas? The bit about the 'internet age' is key. The 'what' of diplomacy (to protect and promote UK interests overseas) does not change, but the 'how' changes constantly. The electric telegraph changed our business in the 19th century and jet travel changed it in the 20th. Now, instant universal comms is changing it again. In the age of Assange, Snowden and FOI, secrecy is not what it used to be. In the age of Apple and Microsoft, bespoke government solutions to secure comms aren’t what they used to be either. We shared Tom Fletcher’s Future FCO report with everyone on the FCO platform before our board discussed its 36 recommendations. We agreed the main thrust of the report but asked for more work on those (few) recommendations where the evidence-base was thin. The report is now online here. Now the focus shifts to implementation. The implementation programme is Diplomacy 20:20. We want expert diplomats who have the tools to do the job. That means we will focus more on training, including in languages, and ask colleagues (a) to work longer in each job and (b) to return to their career anchors. That means HR will give people more direction in their career. We will also be clearer about what skills and experience people need to be plausible candidates for promotion and top jobs. One example: we often train people early in their career to speak hard languages. When we recruit for ambassadors who need to speak a hard language, people who already speak that language will have an advantage over those who do not. One of the main tools is IT, where the FCO has been notoriously weak. Our Tech Overhaul project aims to change that quickly. Consultation continues. I have an all-staff meeting next week to set out my stall and to listen. The implementation plan will be ready by the summer. Colleagues will see changes before the end of the year. When the Financial Times wrote about the report, it suggested we aimed to be “less Ferrero Rocher and more Jack Bauer”. It’s an arresting image. A more accurate rendition might be “less generalist, more expert”. We don’t want to be Jack Bauer but rather the briefer who tells him what’s going on, what it means and how best we might turn that to our advantage, when he needs help on Libya/ Afghanistan/ Nigeria/ Ukraine/ Brazil/ South China Sea etc at 3 o’clock in the morning. 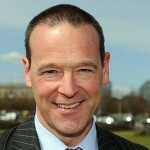 Follow Sir Simon on Twitter: @SMcDonaldFCO. An interesting article and a good read. What i think is lacking in the Foreign Office are people who have a a good grasp of the country that is being helped or monitored. If one is setting a policy for a particular country, it is not enough to say Ahh i speak Arabic, French, German or Hebrew for example. Instead one has to learn the history and culture of the country. Maybe the training course for new entrants should incoperate that and travel out for a fortnight to the countries in question and absorb the culture and sit down with people. And above all do NOT be influenced by media reporting of countries in conflict. You have to go and experience things for yourself and think for yourselves. The FCO also has a problem with public image. Take aid payouts as a prime example. Why are we giving millions to say India who despite widespread poverty in rural areas, are now relatively propserous in the cities. If they can afford a space programe and nuclear weapons, why do they get FCO Aid? Whereas in Syria, Humanitatarian aid is desparately needed. good points made and must support you in the need to under stand and learn from their history and ours so only the effective and good elements are re-run, rather than the bad things that we expect to have a different outcome this time - Iraq to Libya being a prime example of doing the bad things again and being surprised at a bad outcome! I think that the FCO needs to get out of this British Empire (and to a lesser extent Sir Humphrey - Yes Minister TV Series) mind-set that it has. As Charlotte Smith has stated, its not good enough that people can speak Arabic etc but actually need to know about the culture their working in as well. My relative lived in Kuwait and Israel etcworking for the FCO , was fluent in Arabic, Bengali, Russian, German, French and various Arabic regional dialects but was told not to experience the countries he was in? Furthermore, stop giving aid to rich countries and you'd find the public image will improve! Thank you Sir Simon for a very interesting read. 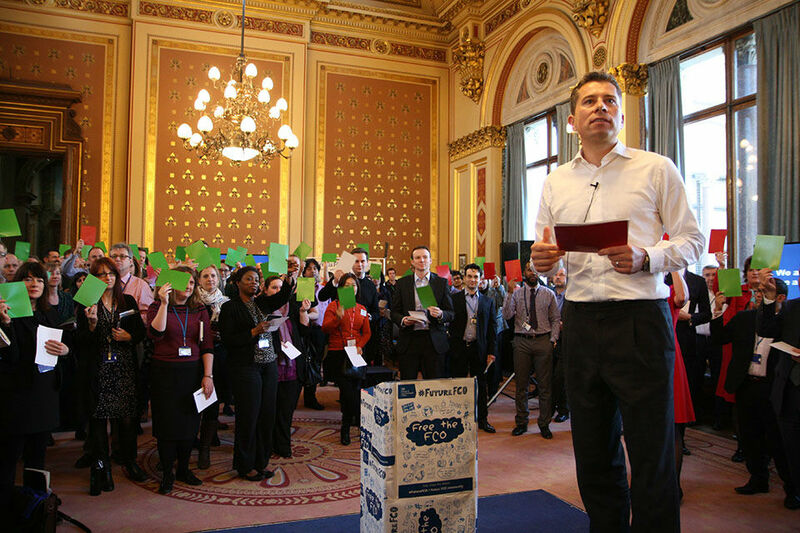 As someone who has worked with the FCO for 25 years, it is certainly a far more diverse and inclusive organisation today then it was when I joined. I would agree with Charlotte that for HMG to be successful overseas, it is key that we are cultually aware of the environment in which we are operating. Something again I feel that the FCO has sought to do work on and improve. The FCO needs to update its image, which is still that it represents Foregin Interests in the UK not UK interests in Foregin climes. The 'less generalist, more expert' concept is one that seems to be resonating across many Departments, with the high degree of churn widely recognised as harming institutional memory. This is a reputational risk for the Civil Service, and an understandable frustration for longer Ministers - who in Departments such as the Home Office or the Treasury may at times be more experienced than the officials advising them. The problem is that being 'more expert' is not currently an attractive proposition for the individual. Moving jobs more frequently is a perfectly rational response to the removal of pay progression and a decade of below inflation pay rises. As individuals cannot increase their pay in post to keep up with rising costs (especially housing in London, for a central dept like the FCO), the only way to do this currently is to seek promotion and/or move around between departments. If the 'more expert' model is to truly work, then Departments will have to consider how they can make that model more attractive with current pay constraints.